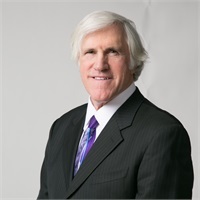 Robert T. Standring | Standring Financial Insurance Services, Inc.
Bob Standring graduated from the University of Illinois, Champaign with a degree in Business Management in 1974. Shortly thereafter, he began building Standring Insurance. He has earned the designation of Chartered Life Underwriter, the insurance industry's recognition of a professional's commitment to knowledge and service. With licenses to sell insurance in several states, Bob can provide coverage for your business and personal financial needs.